The Small Wind Coop has launched a new bond offer, which started on 5 November. 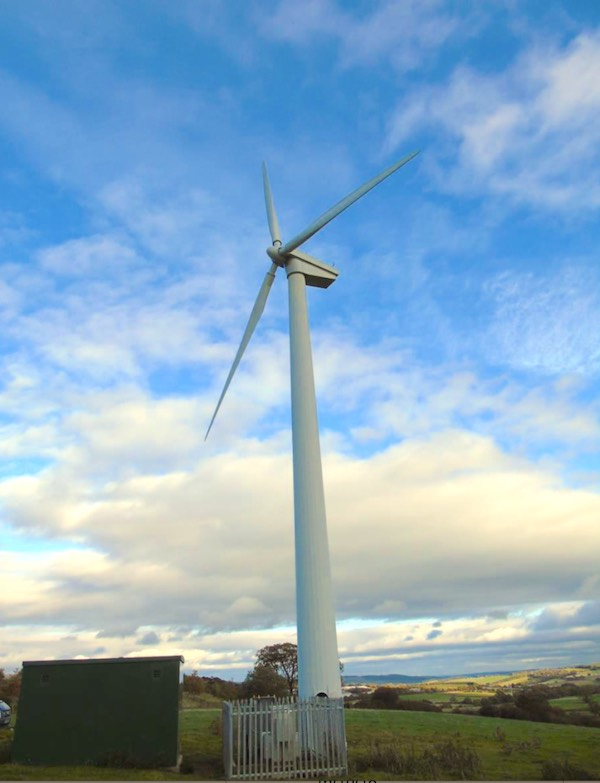 We are raising £450,000 in bonds to purchase an operational turbine at Hownsgill in County Durham (pictured), bringing our total turbines to four – two in Scotland, one in Wales and one in England. In order to encourage a rapid take-up SWC gave away some free bonds to the first 100 applicants. Now we are extending the offer for the next 100 applicants – for all the details see our How to Apply page. The bonds will be repaid in instalments over a 10-yr period and attract a fixed interest of 4.5% on capital retained from year 2. Interest will be 2% in year 1. Buying an operational turbine is an important part of SWCs plans to increase its fleet and improve its financial clout while it develops several new wind turbine sites which will have to operate entirely without subsidy, as the UK government have now removed all support for onshore wind completely. We’ve had a great response from people who share our wish to keep building community wind power whatever the powers that be throw at us – come and join us!